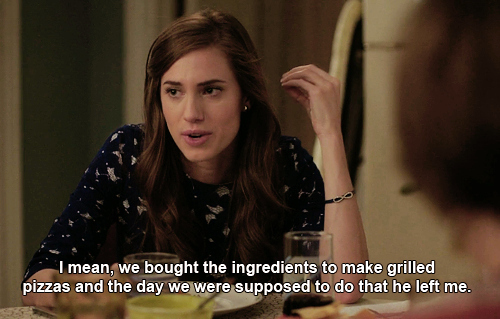 Allison Williams, who plays Marnie on HBO’s Girls, is engaged to the cofounder of CollegeHumor, Ricky Van Veen. I’m sure Allison is very happy about her engagement, but I bet Marnie, who’s been dealing with a breakup on Girls, would have a different reaction to a proposal (assuming she starts dating someone new). Tune in next week to see who Marnie will tell the grilled pizza story to next.